anywhere in the world – for one low rate. ImpactConnect features a 30-day trial, so click now and start connecting for less. ImpactConnect puts you in touch with the world at a rate you can afford. No long term contracts, no hidden fees. Free to try, easy to use. 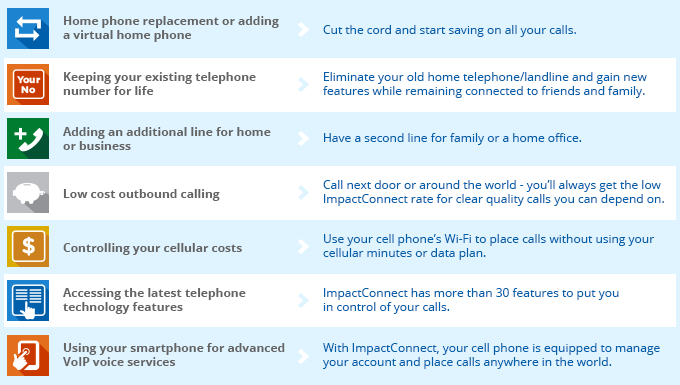 ImpactConnect is the right choice for clear quality calls at a rate that can’t be beat.